Ravinia One is the first office building in the Ravinia development located in the pine forest of DeKalb County in north Atlanta. The project included the office tower, parking structure for 1,000 cars, and the initial roadways, landscaping and infrastructure for the 42-acre site. 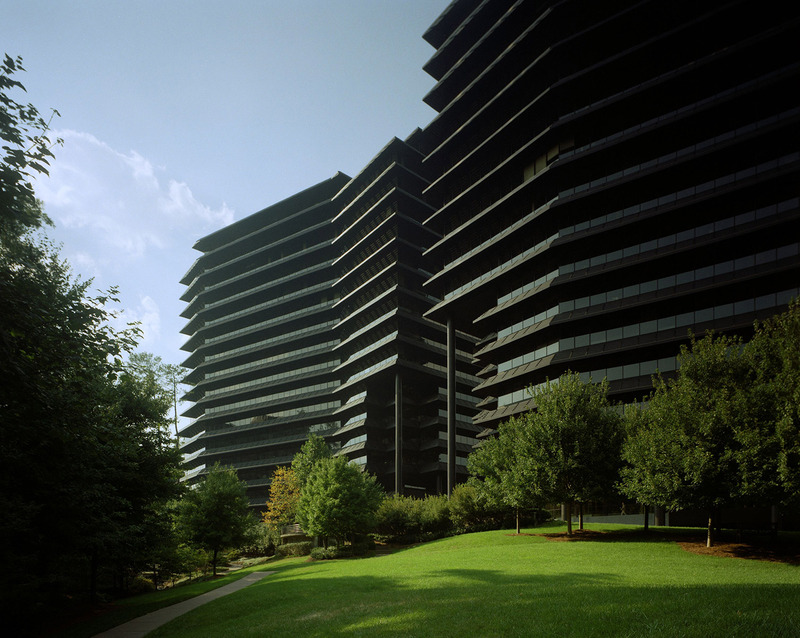 Ravinia Two is the second office building in the Ravinia development in northern Atlanta. The project includes an office tower and a parking structure for 1,130 cars. With the completion of this building and a Hyatt Hotel at the entrance to the 42-acre site, Ravinia was firmly established as the preeminent business address in north Atlanta. Louvered aluminum sunshades provide a strong architectural statement and reduce solar heat gain, while allowing an unobstructed view of the trees below. The shape, placement and color of the buildings respond to the natural contours and beauty of the site.